Prize "Ibni Oumar Mahamat Saleh"
On February 3, 2008 Ibni Oumar Mahamat Saleh was kidnapped from his home in N'Djamena by the Chadian armed forces. He died presumably within the next few days, in detention. 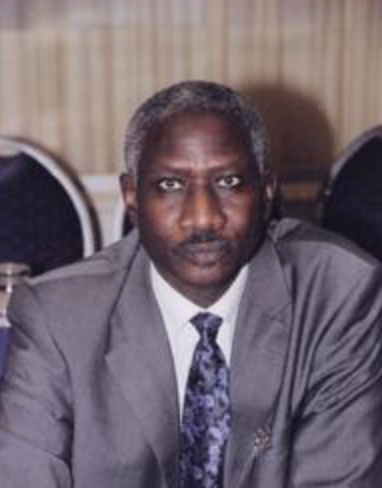 Ibni Oumar Mahamat Saleh was a professor and former rector of the University of N'Djamena. Former government minister, he was one of the leading figures of the democratic opposition in Chad. He was instrumental in inter-university agreements linking Chad to France and other African countries. He wanted these agreements to contribute to the quality of teacher education in his country. The French Society of Statistics (SFdS), the Society for Industrial and Applied Mathematics (SMAI) and the Mathematical Society of France (SMF) created in 2009 the Prize "Ibni Oumar Mahamat Saleh" in memory of our colleague and to continue his commitment to mathematics in Africa. Since 2017, the Prize "Ibni Oumar Mahamat Saleh" is awarded every two years to a young mathematician from Central Africa and West Africa. Further information here: Prize "Ibni Oumar Mahamat Saleh"